LOS ANGELES, Calif. /California Newswire/ — When elementary school teachers plan for their holiday entertainment programs, they turn to the Ruth Roberts' children's music catalog of song collections for Christmas, Halloween, Easter, Thanksgiving, Valentine's Day, and more. "Ruth Roberts' specialty songs have been delighting children since 1973," states Susan Nicoletti, Director of Operations for Goldenrod Music and Michael Brent Publications, the publishing companies that oversee Ruth Roberts' songs. "And when it comes to Christmas music for children, there are sleigh loads of choices," Nicoletti adds. Titles of albums and individual songs for the holiday season include "Cactus Christmas Tree," "Christmas Cookies and Holiday Hearts," "Holiday Alphabet," and "The Toyland Christmas Train." While those tunes are for kids of all ages, there are also songs that appeal to older children, such as "Santa and the Three Scrooges," "Six Little Snowflakes," "The Three O'clock Rehearsal of the Christmas Musicale," and "Winter Holiday." That list doesn't even include the most popular of all of Ruth Roberts' Christmas offerings – that honor goes to "Christmas Songs That Tickle Your Funny Bone" which includes one of the songs currently available on YouTube, "Jolly Gent Who Jingles." Now, this treasure trove is being offered through iTunes for the first time. "Digital distribution is great," Nicoletti states. "Music teachers used to have to order Christmas music through direct mail, and while we're still fine with that method, we're pleased to be fully modernized, too!" Whether children are at home, at school, or in special needs situations, youngsters are pleased to sing-along. "Many of these song collections are part of plays and skits that Ruth wrote," Nicoletti adds. "It is gratifying to get letters and e-mails from happy parents and educators using these materials in regular and special needs programs," Nicoletti proudly states. 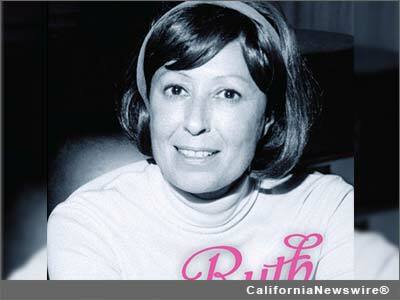 MORE INFORMATION: For more about Ruth Roberts and her music for children, families, schools, special needs organizations, and sports fans, please visit http://www.ruthrobertsmusic.com/ and for an interview with Susan Nicoletti, please contact John Scott G of G-Man Marketing at 818-223-8486. Video of "Jolly Gent Who Jingles" – http://youtu.be/f0P3kIMiLr4 .